More and more travellers want to explore the real Himalayas. But you don’t want to run into other travellers too often, or not at all. You want to see the real mountains and how people live there. And you don’t want to affect the lives of the locals by being part of mass tourism. You respect them, and you want to trek in a responsible way. We believe that the best way to travel respectfully and responsibly, is on a small scale and with the local people. 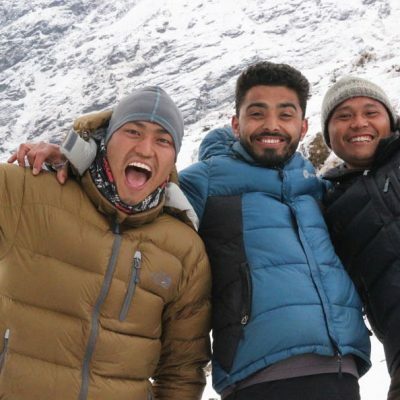 By Mountain People is a group of local outdoor enthusiasts who come from all different mountainous areas of Nepal. We are experienced, know the hidden places, and we have a heart for people from all over the world. By travelling with the people from the mountains that you are about to explore, you travel on a small scale and responsibly on the spot. You contribute to the local mountain communities and make real contact. We think this is the best way to travel. That is why this is our motto as a trekking agency: “by mountain people and for mountain people”. 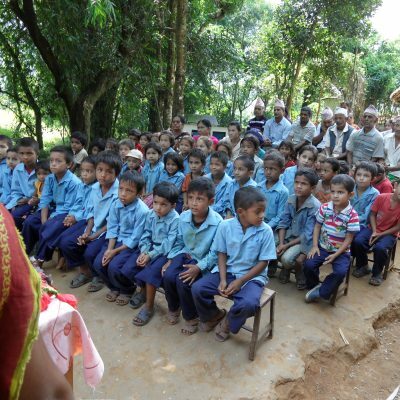 Since the devastating earthquake in 2015, we also support two schools that provide education for 400 children in the hills of Parbat. BMP has helped one school rebuilding 7 of their lost classrooms. And for the other school, BMP kept their most valued fulltime voluntary teacher in class. That’s how we call our team members. They are enthusiastic, honest travel experts who work at BMP with a heart. We often know them for years and have become our friends. Some of them are foreign, but the rest are locals. And they are always part of the community. We want to share this network of Mountain People with you. They share their best experiences with you: the unexpected things, the most beautiful places and the funniest encounters. Because even though they themselves are modest, they take you above the rest.